Minimum Carnage and Carnage Hobgoblin Axis Lot of two Trade paperbacks! New! 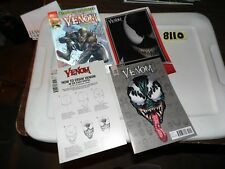 Venom Marvel Legacy Lot + variants! #155 x4 different variants!